Over the past two weeks, President Trump has acted to directly degrade the safety, health and well-being of the immigrant community, including victims and survivors of human trafficking. Freedom Network USA strongly stands behind the immigrant community in condemning these efforts, and urges communities, service providers and policymakers to resist these attacks on the fundamental freedoms upon which America was founded. As the largest network of providers in the country working with victims of trafficking, Freedom Network USA is deeply disturbed by the lack of empathy and commitment to victims of crime displayed in these orders, and we are fearful of the impact this will have on our clients and communities. Most immigrants face incredible hardship in order to simply arrive in this country. Executive Orders 13769 and 13767 create barriers to safe migration that do nothing to protect America. When legal migration routes are constrained or closed, smugglers and traffickers move in to exploit desperate migrants. Refugees are some of the most carefully vetted migrants, required to undergo an extensive process that requires proof of identity and of their experiences of persecution. By refusing entry to those in need of refuge, we contribute to the impunity of regimes around the world who commit atrocities. Refusing admission to those with valid visas due to their national origin or religion is not only discriminatory, it is cruel. Children in need of medical care, families who have resettled in the US years ago, educators and entrepreneurs have all been caught up in this injustice. Human trafficking survivors are unable to reunite with their family members, some after years of isolation forced by their traffickers. We are not stronger or safer by shutting the door to some of the most vulnerable and in need. We are only less compassionate. We also condemn Executive Order 13768’s efforts to persecute migrants already within our borders. Communities are safer when every resident feels protected by law enforcement and valued by their neighbors. When immigrants feel they cannot speak out for fear of deportation, they become targets for abuse and victimization, from theft to sexual assault to human trafficking. Human traffickers routinely force their victims to engage in criminal conduct, from prostitution to drug crimes. Survivors hesitate to disclose their experience, haunted by shame or fear of retaliation. When victims are afraid of the police, criminals are emboldened and communities fail. Sanctuary cities address these vulnerabilities head on, allowing victims to report crimes and witnesses to come forward to support the vital work of local and state law enforcement.  Freedom Network USA urges the Trump administration to focus on effective approaches to meeting the needs of our country. We must not reverse a decade of hard fought progress in improving America’s response to human trafficking. We must continue to protect those most vulnerable by implementing a human rights-based approach that addresses the abuse, poverty and discrimination which provide the fertile soil in which trafficking networks flourish. We will continue this fight, supporting victim-centered non-judgemental services to all trafficking survivors — regardless of their nationality, gender, religion or sexuality — and we invite you to join us.